Beldoire campsite invites you to relax and unwind in a unique natural setting, between granite mountains and the refreshing waters of the Tarn. If you haven’t arrived via the valley-bottom road, following the scenic river-carved course of the Tarn, then you might just have come to Beldoire Campsite via the numerous switch-backs of the D995. Through hairpin turns you land in the riverside village of Les Vignes, where water cascades down a weir and beckons you to leap in for a swim. Hold fire, though. It’s just a kilometre more to the campsite where you can swim to your hearts content; pitching your tent in the natural shade of an ash tree and slipping stress-free into the waters of the Tarn. Riverside pitches don’t come much better than this. 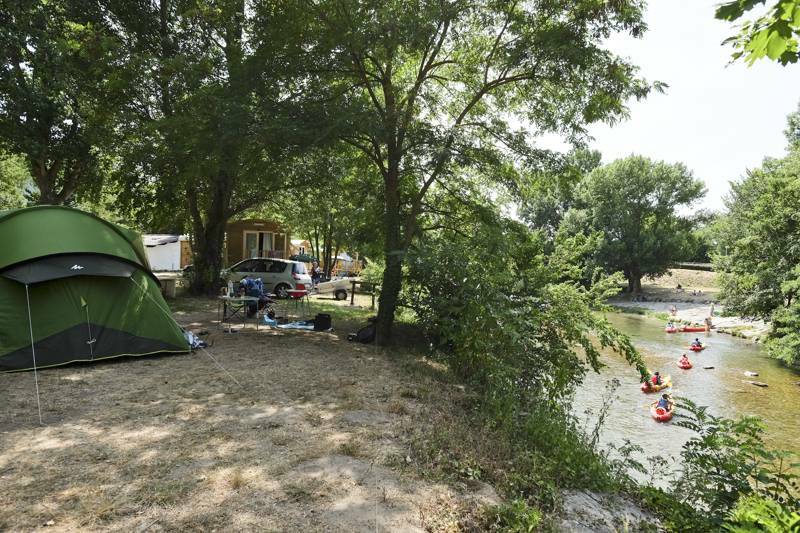 Directly on the banks of the Tarn and within the eastern boundaries of Cévennes National Park, this well-placed, well-organised family campsite combines all the natural features of camping – grassy pitches, mature foliage, a picture-perfect river and a splendid climate – with a healthy dose of convenient facilities. There are two wash-blocks, a helpful reception building with fresh bread deliveries each morning and electricity at almost every pitch, yet the place doesn’t feel like a holiday park. Far from it; though there is a swimming pool, the majority of campers prefer splashing in the river instead and the ‘nature’ pitches are just that: informal, well worn patches where you can pitch a tent with ease. To really make the most of the setting it pays to be an active camper. Hiking routes cover the national park and trekking up to the forested high points for spectacular views back into the local gorges is popular. Poke your head into reception and leaf through the tourist information pamphlets for good ideas on the trails that are best for you. Better still, make your way through the gorges by water with a local kayak or canoe hire company. In Les Vignes, Canoë Aqualoisirs can happily kit you out, either on a self-guided paddle on the river (collecting you downstream) or by taking you to the roughest parts of the gorge and ploughing you through the waves on a white water rafting trip. Whatever you choose, it’ll no doubt wear you out nicely and leave you perfectly placed to fall asleep to the murmur of the river at night. 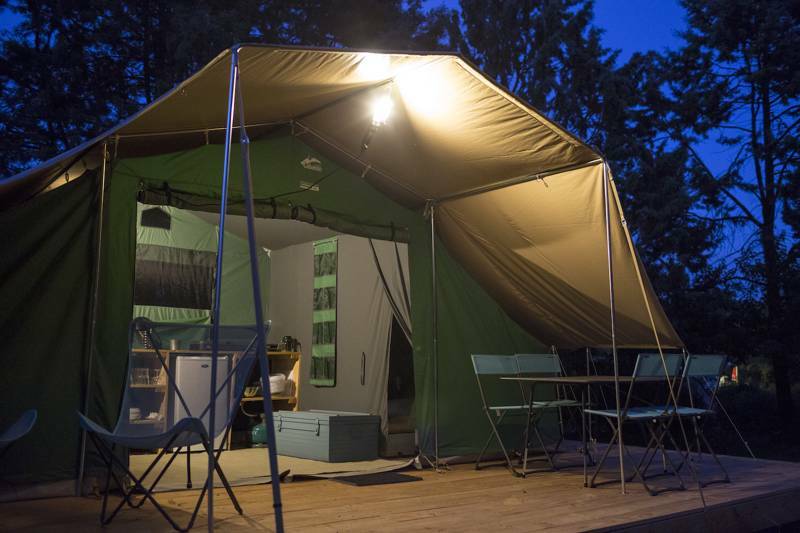 Located on the banks of the Tarn at the entrance to Cévennes National Park, the Gorges du Tarn campsite invites you to unwind in true simplicity in a lush green setting! Fall asleep with panoramic views of the Cévennes, set out to explore the hidden treasures of the Lozère, relax in the pool with friends, make the most of your holidays to try canyoning: these are just some of the many activities for you to enjoy during your stay at Gorges du Tarn campsite. Gorges du Tarn campsite invites you to relax and unwind in a unique natural setting, between granite mountains and the refreshing waters of the Tarn. 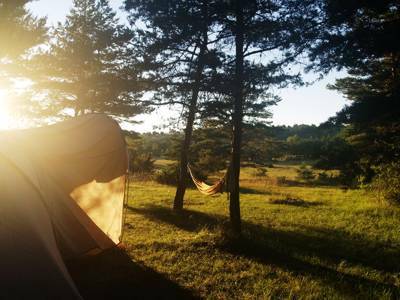 There’s nothing better than waking up to the sound of birdsong in the midst of a lush, green environment on one of our Nature or Comfort pitches to enjoy a traditional camping holiday. 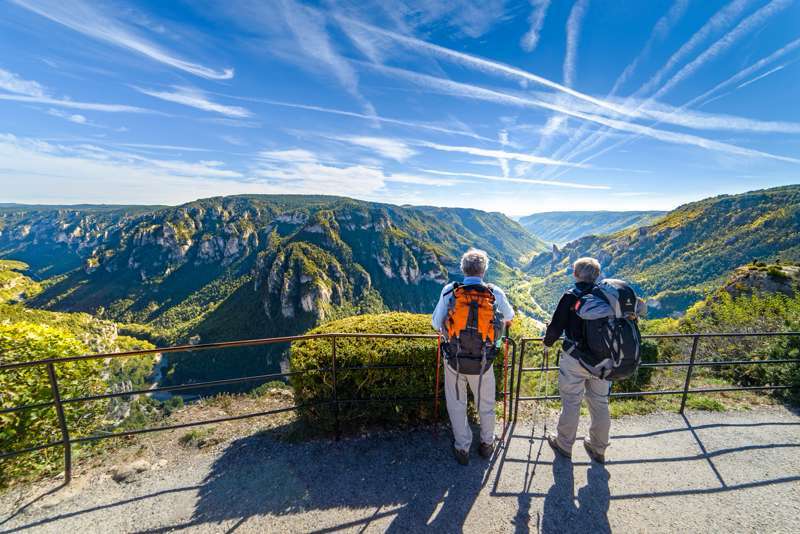 Ideally located in Lozère on the banks of the Tarn, at the Gorges du Tarn campsite you can set out to explore all the region’s tourist attractions from a tranquil setting in the midst of nature. For latest availability and best prices for Huttopia Gorges du Tarn, please use the Date Search above. 140 camping pitches, almost all with the option of electricity. 2 washrooms (24hr access) with showers, toilets, sinks and washing up areas. Laundry area with washing machines and dryers (tokens on sale at reception). Fridge and BBQs for hire. Motorhome service area. Pétanque court, table tennis table, swimming pool (open late May–Sept), with adjacent sun terrace and sun loungers, plus wild swimming in the river at the foot of the campsite. Walk along the river banks to Les Vignes, where Canoë Aqualoisirs (0033 6 09 42 86 54) can rent you kayaks and canoes for a day trip on the water. It's easy to paddle downstream and they'll pick you (and your vessel) up later and return you back to base (or the campsite itself, if they're in a good mood). The same company run whitewater rafting trips on the more turbulent stretches of the river, as well as canyoning and cliff walking (with harnesses and wires) in the gorge. These are just a handful of the active ways you can enjoy the area and there are many more besides. Tree high-wire courses, mountain biking, horse-riding, caving and climbing are all available in the surrounding area – enquire at the site or the local tourist office for further details. Fresh bread delivery service each morning (order the evening before). In Les Vignes, Resto Bar Alex (0033 4 66 48 81 77) offers well-priced food and, if you eat outside, has a little terrace across the road that sticks out across the river, come evening it's a beautiful spot. 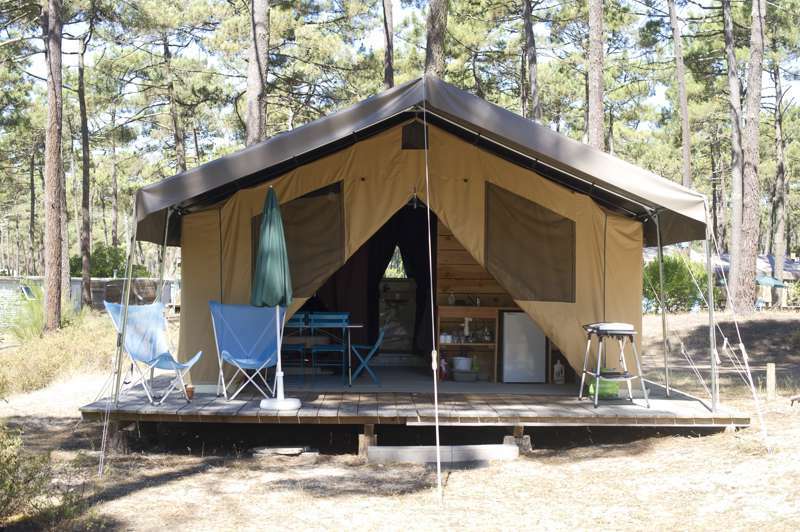 Camping pitches from €17–€26 per night, including a pitch, 2 people, a vehicle and a tent or motorhome. Additional adults €4–€6; children under 4 years old free, and children between 4–10 years are free in low season and €4.30 in high season. Pets €2–€4.